rubicon4wheeler: What Number is Your Wrangler? 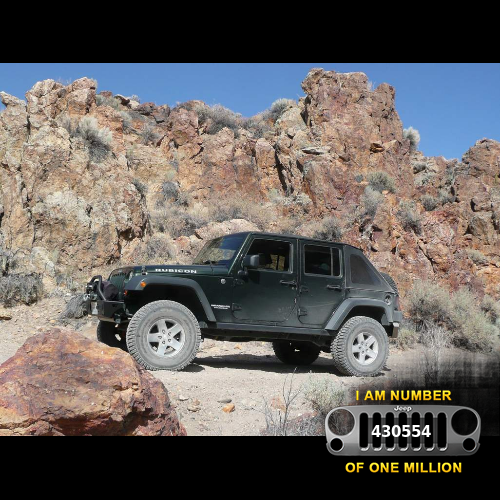 As a means of celebrating the million-JK milestone, Jeep has a neat app on their Facebook page that allows you to submit a photo of your Jeep along with its VIN number, and they will provide you with a customized photo that includes your Wrangler's production number. You may upload and create as many images of your Jeep as you wish.